I may never be one of those people who experiences a life of balance and routine. I tend to give the most attention to whatever is in front of me, and I’m easily distracted. To prove my point, I wrote that first sentence an hour ago. My daughter needed me for a second, then I sent my husband a text. I started doing things in the kitchen and the next thing I knew I was eating chips and wondering what to tackle next. Then I remembered I had this blog started in the office…Welcome to my life. This season, I found myself busy with some unexpected projects, and then I moved my craft room into a larger space, and really, I can’t believe its already the week of Christmas and I still hadn’t made myself a new Christmas decoration! 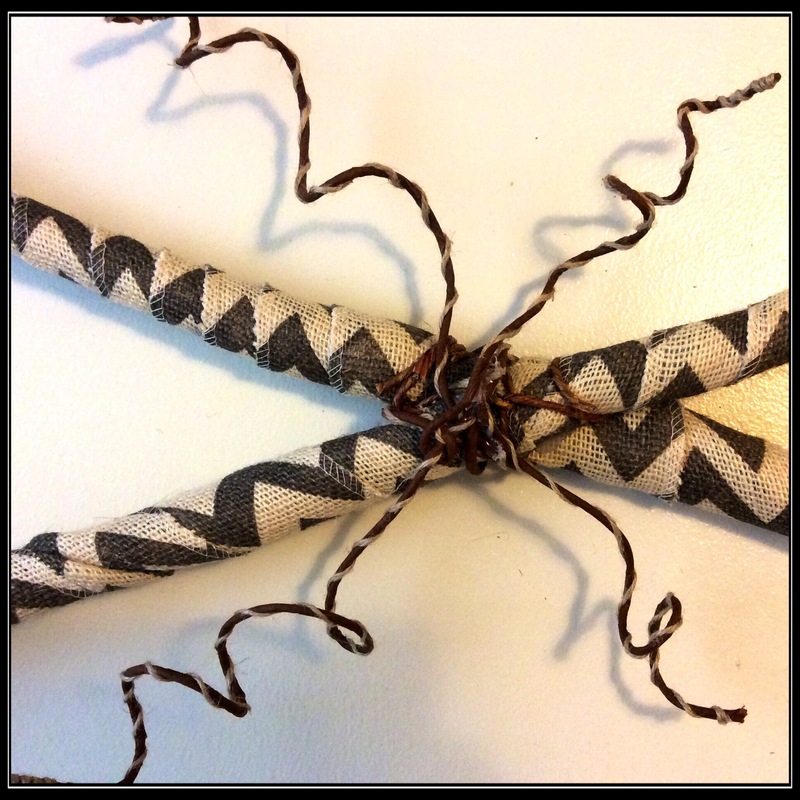 This craft is so simple and easy, but I love the way the finished product looks. You can use whatever medium you prefer; I’m a total burlap and spanish moss girl, but you can really use anything you want, and you can make it fit any budget. I used a 15′ burlap ribbon I bought from Hobby Lobby when I was stateside, but you can use cut up and re-purposed old sweaters, or jeans, or even just buy some fabric you really like! Cut it into strips, you don’t need to finish the edges, it’ll all be part of it’s unique charm. For me, my total cost for this pair was &15 Cdn. I’d love to see a photo of yours, if you make some! Cut 2 squares from the ribbon, and fold a square over each end of the candy cane. Use the hot glue to secure it, and then fold the edges in and glue them as well. Starting from whichever end you prefer, wrap the ribbon up and around the candy cane. Let it be bumpy and rustic, it looks better if you don’t try to make it smooth. Stop and glue as you need to. Try this step with no glue first, so you can get a feel for it, then do it over with the glue to make it secure. Let them dry for a few minutes. Next, stack your candy canes how you want them to be displayed. Glue them into place, but don’t lift them up. The glue is not enough to hold them. 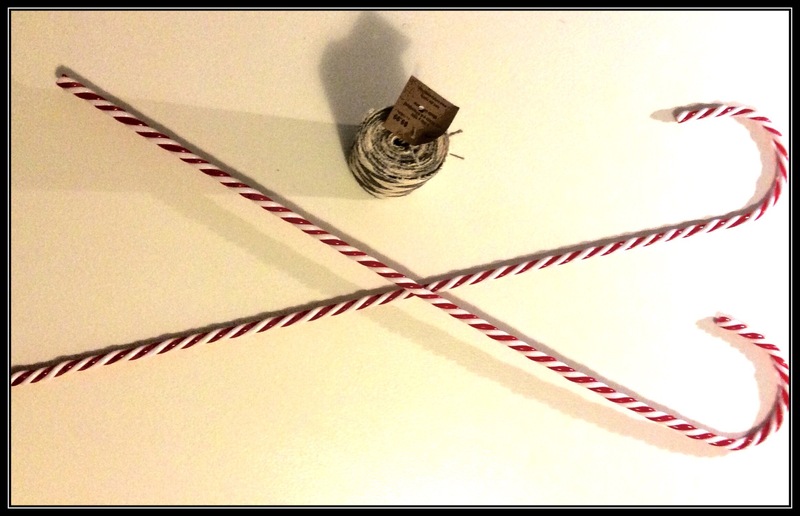 Using Twine Wire (which I use for EVERYTHING) and your wire cutters, Cut and wrap the wire tightly around the candy canes and down the middle of them. Wrap them in a way that they feel very tight and secure to you. Wiggle them a little to test them out, and hold them up. I added more twine wire, for embellishment. 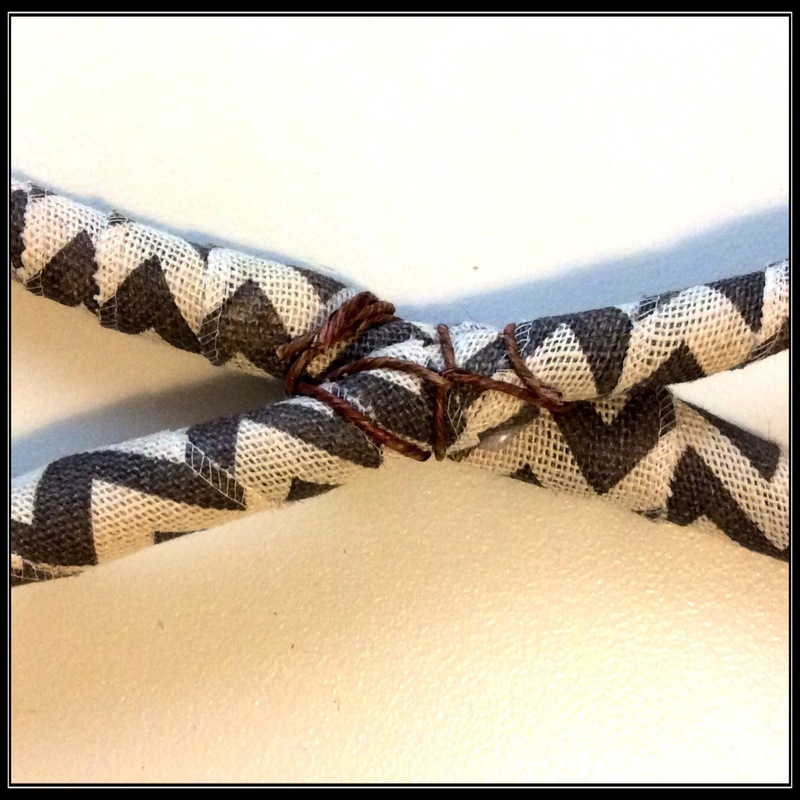 This fancier twine wire is found in the floral sections of craft stores, and I usually stock up. You can use bits of artificial greenery or flowers if you prefer. Glue your bow into place. You can also use floral wire to secure it, but I didn’t find it necessary. Add your embellishments. Don’t burn yourself 100x like I did. 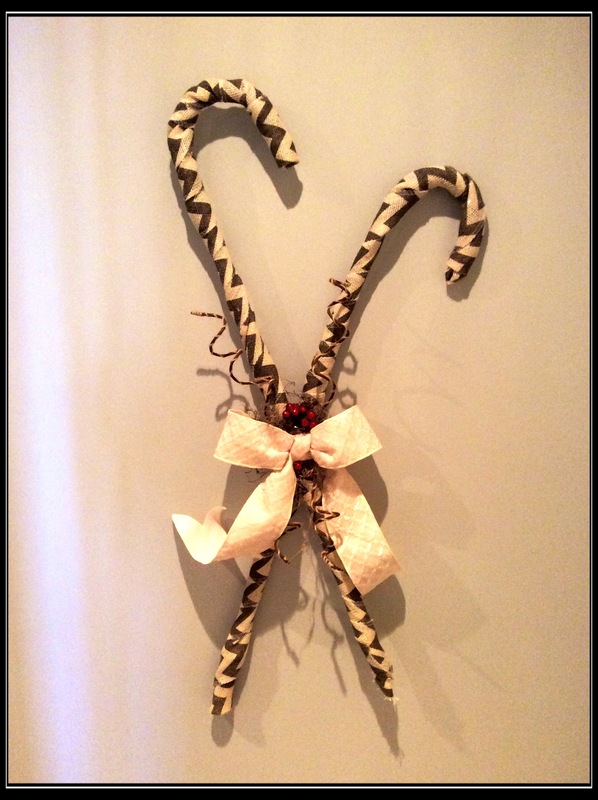 Using some extra twine wire, make a little hanging loop for the back of the candy canes. Make sure the loop is fastened where the candy canes intersect! It’s the only way to support the weight. Finally, you can spray the whole thing with glitter (I didn’t but it would be cute), and use command hooks to hang it up somewhere! Remember to hang it when storing as well, I don’t think they would be boxed very well.